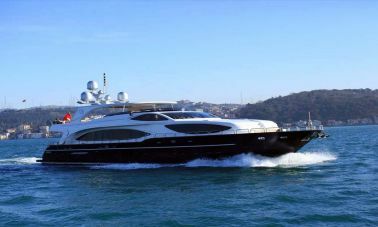 We offer a selection of luxury motor yacht charter istanbul to individuals or groups for private bosphorus yacht charter & dinner cruises. 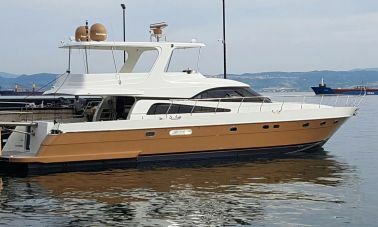 Variable styles and sizes of standard and luxury motor-yacht charter istanbul & power boats to suit all your requirements are available. 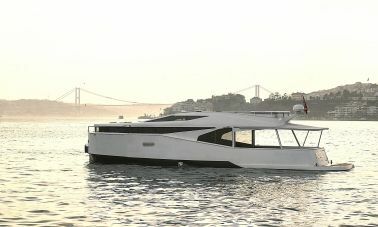 Private istanbul Yacht charter Cruises for small groups from 2 hours to whole day long trips. Sunset Dinner Cruises, Lunch or coctail Cruises. Choice of international menus for elegant dining. On board Entertainment, Belly dancers with music etc. English speaking local guidance, guided assistance throughout the cruise. 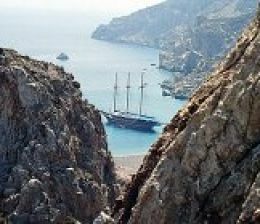 sightseeing boat rides, student groups or educational trips. 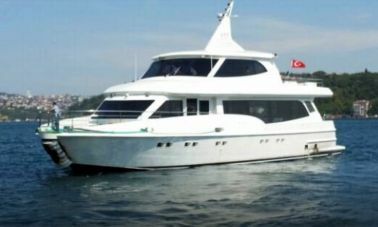 Sightseeing yacht charter Istanbul seen from the Bosphorus is an unforgettable cruising experience. Enjoy unique views in a relaxing environment with this Sightseeing Cruise gliding by some of the famous and historical sights of the Bosphorus Strait. Bosphorus Sunset Cruise, On the way to your favorite restaurant, why not start the evening with some drinks during a Sunset Cruise on the Bosphorus. After the cruise, we can drop you off at the below restaurants or piers such as… Lacivert, Delmare, Poseidon, Feriye Restaurant, Kabataş, Çırağan Palace, Four Seasons hotel on Bosphorus. 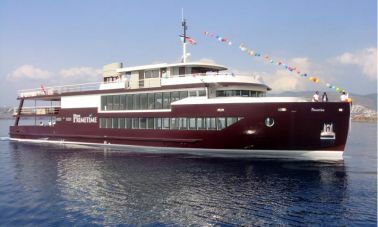 Bosphorus Dinner Cruise The ultimate yacht and dining experience . Enjoy the cruise in style along the Bosphorus illuminated by night while sampling some of the finest local food and wines especially selected for you. 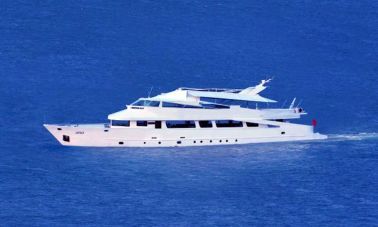 A memorable way to spend an evening or celebrate a special occasion with Bosphorus yacht charter in istanbul . 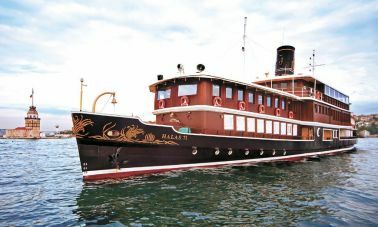 Cruise to Black Sea at Anadolu Kavağı Experience a cruise along the Bosphorus up towards the Black Sea and back, stopping at the furthermost point in the picturesque fisherman village of Anadolu Kavağı, where you can enjoy lunch or visit the hill-top castle for panoramic views overlooking the Black Sea. 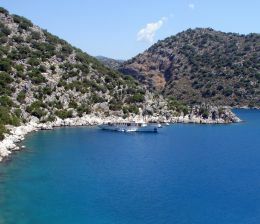 Princess Islands Cruise, A refreshing day out, swapping the city for one of the idyllic offshore islands in the Marmara Sea. 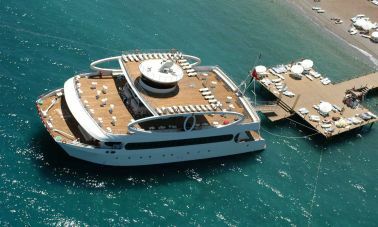 Enjoy a relaxing yacht charter istanbul cruise over and back with a stop for lunch on one of the islands. While docked, you may explore ashore, stay relaxing on board or enjoy swimming opportunities. 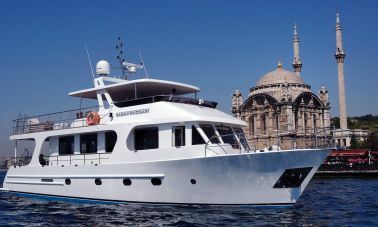 Please Note: Yacht charter istanbul prices are quoted as the total for the private yacht hire (not per person) for the duration and route indicated, including the crew, insurance and legal taxes. Dinner prices are quoted separately above and per person. Guaranteed departures rain or shine with Bosphorus.